Alberta Innovates brings people and organizations together to solve problems. One of the ways we do this is through the Campus Alberta Small Business Engagement (CASBE) Program, a pilot funding program we launched in 2016 in partnership with the Natural Sciences and Engineering Research Council (NSERC). The goal is to incentivize academics and small Alberta businesses to collaborate. By helping small- to medium-sized enterprise (SME) to close knowledge gaps identified during their technology development, we help them to reduce the time from idea to innovation. Simply put, CASBE works like this: an SME identifies a technology problem they’re having and presents it to academic researchers to see if there’s a potential solution. Once identified, the two collaborators create a research plan the researcher then submits for consideration. If successful, NSERC provides $25k through its Engage Grants and Alberta Innovates matches with another 25K. 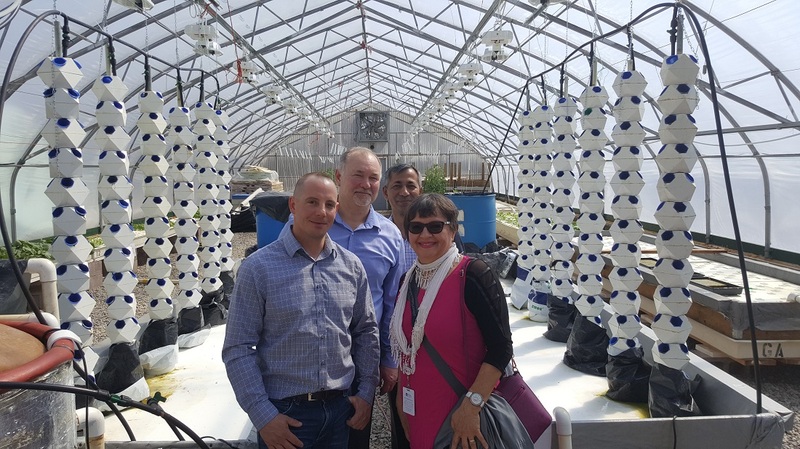 In this CASBE project, the industry partner is an Alberta SME developing vertical farm-based production towers that use aquaponics effluent as a source of nutrients. The company was looking to solve the problem of organic debris accumulating in the root pockets of the tower, which plugs the buckets and hinders drainage. This can lead to oxygen deprivation of the plant roots causing the aquaponics system to fail. Lethbridge College offered to use its uniquely designed microfiltration process using biochar’s micro- and nanopore network that could efficiently trap the organic debris. The developed technology would also minimize the need for nutritional supplements to the systems and would create a niche value added product – nutrient rich and biologically active biochar, which has the potential to improve profit margins of the industrial partner.